Wedge Products is a certified stamper serving the aerospace industry, Wedge Products is experienced in all aspects of working to aerospace specifications. We provide stamped metal products with critical finishes and custom individual packaging to ensure each part is defect free. We have a special aerospace team, equipment and work area dedicated to meeting the specific requirements of our aerospace customers. 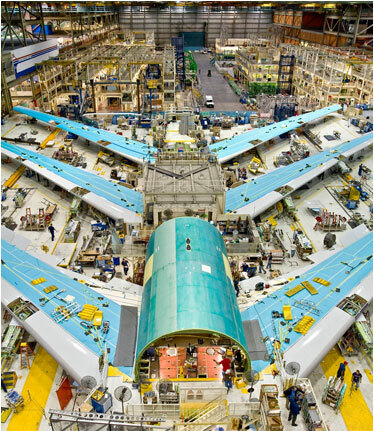 We develop parts for the Boeing 787, Boeing 777, Black Hawk, Apache and C-130 aircraft. No matter what your aerospace parts manufacturing and aerospace metal stamping needs are, Wedge Products can deliver a quality product on time and at a competitive price.